小斯你好! 請問我FLYER 既積分有5年有效期，限期前轉去AM戶口，係咪可以係AM戶口儲多3年? THANK YOU! 試過喺 ebanking 入面轉，但只可以轉入 reward-U account 冇得揀 AM account. 小斯, 請問呢張信用卡迎新, 首2個月簽賬滿$9,000的話$1=1里數, 即係9,000里, 點解仲有基本$5/里? 變左簽$9,000有9000+1800 (9000/5)+其他迎新=11425里既? 請問網上表格捐款惜食堂 $7000 左右計迎新嗎 ? Thx! 本人年薪360,000，現有恒生Enjoy、渣打Infinite、Aeon master，開始想玩碌卡儲里數，會用Alipay、八達通自動增值。請問申請東亞flyer world定DBS Black World Master? Hello! “迎新的合資格簽賬並不包括…財務費用…” Does that include insurance premium payment? Thanks. 仲有我試用APP申請, 佢好似一定要連銀聯雙幣白金一齊申請, 無位UNTICK, 咁如果包埋依張, 洗唔洗頭2個月內都要簽夠數先有迎新里數呀? 你好,想問你寫海外簽帳有1×11分果度,但係我見官網話 11X獎分︰不適用於已登記BEA飛行里數獎賞之World Mastercard卡、Flyer World Mastercard卡及公司卡。咁即係有定冇啊? 是否轉了 terms …..剛剛申請了， 打上hot line 話冇海外簽帳11x…. 想請問 “海外簽賬有$1 = 11分 / $0.72 = 1里” 係咪要果個月”海外”簽帳夠3000蚊先有? 爬左上面D COMMENT話去開個BASIC ACCOUNT就可以WAIVE, 想8下BASIC ACCOUNT係咪唔洗開戶費同放錢入去?如果開到係咪直接係分行同佢講叫佢順便WAIVE埋就得? 海外簽賬 $0.72 = 1里, 是否 = 旅遊日●東亞日? 咁你覺得8達通用citi PM卡8元一里, 無限期 Or 交通 6元一里好? 5年積分期, 比d意見我。thx 搵唔返之前個post…. 請問東亞Flyer World card在頭2個月用 payme 簽$9,000, 會有迎新9,000里嗎? Thanks! 這咭攞吾攞到Asia Miles ? 如攞不到 , 請問有邊得呢 ? 如果變返8元一里其實我係咪應該轉返CITI PM CARD做八達通八達通自動增值? 因為PM卡, 無限期積分, 東亞就5年限期。咁樣做岩唔岩AR? 支付寶轉帳(搜索ac轉帳 / 面對面掃QR code轉帳) 計唔計迎新? All payment through autopay will earn me miles ($5 to 1 miles) after May 1. $5 = 1里 (5月1日起八達通自動增值簽賬),唔係改左係$8= 1里?? 咁請問我個迎新伯係2月28號前個種 定係 依家 “於發卡後首2個月簽賬滿$9,000，額外再有9,000里=>連同基本$5/里，即係簽$9,000有10,800里 + $100” 呢種呀!??!?!?!?!! 小斯. 請問網上簽賬 & 網上外幣購物有冇分? THANKS! 網上繳費：$1 = 1分 / $8 = 1里 (除佐繳稅、保險、學費) <— 係咪得水電煤果D先得 交其他銀行卡數唔得? 請問用BEA Fly World 網上購物 幾$= 1里? 黎緊會有10K-20K要簽, 想儲AM, 已經有SC AM卡, 咁係咪都係呢張FLYER WORLD最好? 另外,如果用呢張FLY WORLD網上買iphone8, 是否有5,000里? 迎新簽賬9,000會包括iphone 8 該筆簽賬嗎??謝謝! 請問如果上網買IPHONE用呢張FLY WORLD卡俾錢 (即係網上消費) , 可以賺到迎新6000里+小斯的3000里+網上申請的2000里嗎? 如果本身有 BEA deposit account…through 你申請仲有冇其他優惠? 小斯, 想問下用呢張可以做自動轉帳交電話費? 又或者交保險費/水電煤等費用? 另外, 我多數網上消費，八達通增值,想儲里數，呢張可以? 謝謝你! 想請問年薪要求係 24 萬 or 30萬? If 30萬, 差少少唔夠ok ma? thanks. 我是新客戶用你的Link 申請了Flyer World Mastercard，怎樣才知道已有extra 3000里? 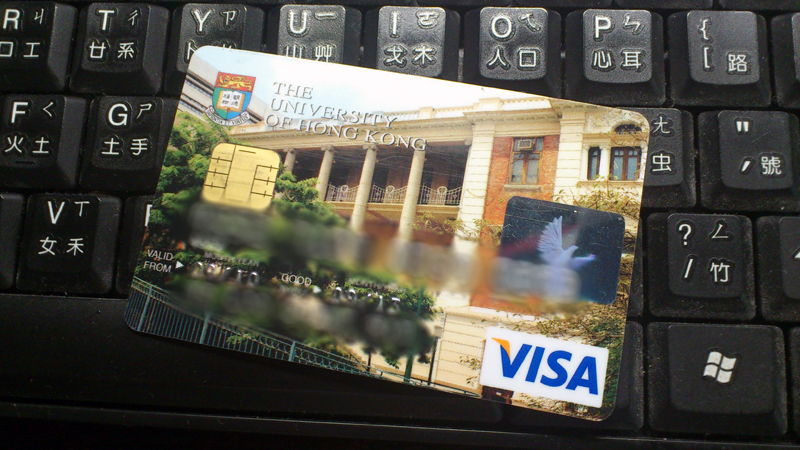 Hello 小斯, if I have a saving account in HKBEA and also a PolyU card there, will I still get the welcome offer? Hello 小斯, if I have a PolyU card, will I still get the 3000里 offer? Hello 小斯, how can I check if I have passed the period to get the extra 3000 mile bonus? 我本身冇任何儲AM的卡, 但因為結婚的原因10月才會開SC; 如果平時想搵張信用卡儲MILES的話 , BEA定DBA會好D? 迎新的話DBS定BEA抵D? Hello 小斯, 用你條link 仲會唔會有個 網上申請額外優惠? 咁我有冇份? 可唔可以拎到 3000Asia miles ? I have already BEA Platinum Visa Card. If I now apply this 東亞銀行Flyer World MasterCard, Can I enjoy the welcome miles? 1. 咁水電煤7月1日後ebanking 8蚊/里, 係咪要轉卡? 用邊張最抵? 另外想問下換AM D 分係咪一定要入返落同名既AM ACC度?可唔可以入落其他人既AM ACC度架? 1. bea flyer world 網上繳費係咪要收手續費架? (1) 如果我而家先去申請用張卡自動轉帳交電費同保險，7月1日後可唔以一直繼續 $5 = 1里 ? 想CLARIFY一下我爬完文後有冇理解錯 —- 關於BEA FlyerWorld Master —- 謝謝! 所以想問清楚, 因為 non-mean & 保險係我每年信用卡最大單支出, 有冇miles 對我好重要, 謝謝你呀! 想確認一下用BEA Flyer World ebanking 交政府學債 (Non-mean etc) 仲有冇分儲? DBS Black World Master 自動轉賬係唔係都有? Hello 小斯, 東亞呢張卡唔會自動幫你轉換miles, 咁我應該嚮新卡出左12個月內換先有$4/$5 per miles? 我試過click入去換領個page寫住係$8/miles… thanks! May I ask 網上繳費賬單 include e banking paying 中電? Saw this in your previous reply. Do the award points go to the main cardholder’s account, or to the sup card’s account? 2. 長遠黎講 用呢張卡好D 定係DBS WORLD MASTER / 渣打ASIA MILES? 如果我已經有Hsbc visa signature , sc asiamiles master , 仲需唔需要出呢張? Mine just passed 1 year and this is freaking hard to waive the annual fee if you didn’t hit the $60000 mark in 1 year. I happen to use around $50000 HKD in 1 year period of time and hitting $70000 in the 13th month. And you know what, they refused to waive the annual fee for me. I called twice and even walk down to the bank counter and none of them would waive the annual fee for me. Eventually, they said they can waive the annual fee for life if I open a basic bank account at BEA. Just need to maintain a balance of $5000 HKD, and cannot dip down below $5000 on any single day, then no account fee, no annual fee for the Flyer World card. I want to say again, this is NOT easy to waive this credit card and I think this is one of the worst experience I had with any Asiamiles credit card i have owned. Your mileage might be different though. 我最終確實係開左個戶口, 我係唔gur 我碌左$50000 幾佢都唔waive 俾我. 我第13個月仲要碌到$70000 , 仍然係唔waive. Q1. 想confirm 一下繳保險是否無分? 在T&C 只提到網上/自動櫃員機繳款冇分. 如果直接在保險公司碌機(不用online/authorization form), 有存據那種, 是否有獎分啊? HIHI 最近出左渣打ASIA MILES卡 想問應唔應該出埋呢張卡 長遠黎講應該用邊張最好? 食唔食到迎新HK$1.5 = 1里數同埋首12個月HK$4 = 1里數? 小斯, 爬左好耐文都好似冇講. 現在頭兩個月要簽9000, 比如我張咭七月九日到手, 要响九月九日前簽夠9000? 迎新要簽$9000, 會唔會合併計兩張卡(BEA Flyerworld MC + 銀聯卡)嘅消費? 如果交student loan / non means 係咪都有$5 一里? Very stupid question. Is the miles reward from BEA Flyer World MasterCard exactly referring to Asia Miles? 我問過保險公司(AIA), 佢地冇得就咁走上去搵 agent 碌卡比錢, 我可唔可以取巧地, 先用 ebanking 過數 (無分), 再打去卡 center 做分期咁樣攞分呢 ? 應該申請 bea flyer world 平時用+渣打亞洲萬里通萬事達卡賺迎新? 前幾日蘋果财經版介绍政府 I bond 有8至9厘息? 今日又介紹你是信用咭達人. 3) 年費方面, 交保險, 稅, 租, 水電煤, 八達通自動贈值計唔計落簽帳?? 3. 係咪打去, 0禁下制就waive到 ? 定要同佢D職員UP下 ? 4. 點先知自己邊D簽賬係當迎新, 迎新包唔包 交稅, 8達通自動增值,水電煤費, 差餉, 管理費果D ? 6. 交學費唔計, 係網上交定直接去學校碌唔計, 定全部 ? 7. 如果而家開個戶口, 可唔可以用佢黎出糧賺分 ? 定係申請信用卡果陣先得 ? 我想問下我要還grant loan, 一季還幾千, 除咗呢張東亞, 仲有咩card 係可以儲分/儲miles? 如果淨係呢張fly world 先有得儲, 使唔使set 自動轉賬? 定係普通找數都有得儲? 保險就咁LOOK CARD有冇分? 通常新單第一次比好似要直接比? only AUTO pay 有分? 簽網上買iphone or book hotels 計唔計迎新 定係一定要底單? 你好, 想問下如果我將出糧ACCT 轉左東亞,係唔係全部都4蚊一里(包括8達通等) ? 咁我食左渣打想新卡既迎新, 渣打張卡既價值就冇晒嫁啦WOR, 之後基本上用晒東亞依張卡簽都得? 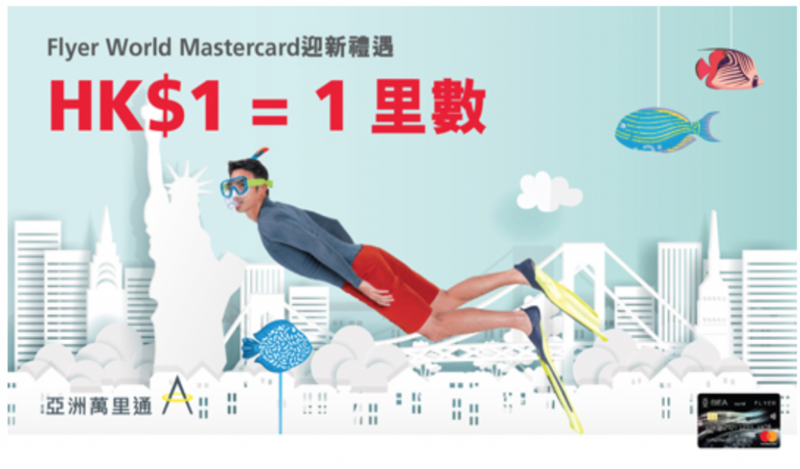 小斯 : BEA Flyer World Master Card 係咪只可換飛行里數, 不可換禮品 ? 小斯 : BEA Flyer World Master Card 係咪只可換飛行里數, 禮品係唔可以換 ? 請問我有一張poly u plantinum card, 宜家仲有無得upgrade做flyer word? 如果一次過俾保險費, 用BEA FLYER WORLD 有無分? 如果無的話, AE PLANTIUM 定HSBC PLANTIUM 好D? 另外想問如果是讀一D業餘課程如工聯會 、HKU SPACE之類，幾百至幾千蚊左右，是不是都係當交學費而不是消費 ? 可不可以儲積分換里數 ? 用咩卡去簽最好呢 ? 想請問呢張儲到Krisflyer 嗎? 我得張BOC儲緊Krisflyer不過$10/miles…. 有D難儲!! 仲有冇其他咭推介?Thanks…. 小斯, 如果本身有BEA MASTER, 用緊BEA出糧, 申請WORLD FLYER係咪咩優惠都冇架? 已經有 BEA World Flyer, 如果唔做出糧戶, 只要我連續12個月, 每月首日 autopay $15000去東亞戶口 or 每個月首日 balance 有$15000,就有$5/里? May I know how can I switch to Octopus value top up from one credit card to another? 如果唔批, 仲有咩卡申請得過? DBS BLACK CARD? 張咭首年免年費, 但之後如果每年未簽夠 6 萬, 容唔容易 waive 到年費? 表示過9000後如果有HSBC visa signature or 最紅星期5既 11X,就應該用HSBC? Has anyone experience missing points from this BEA flyer world master card? I’ve spent ~$120,000 from Aug 15 til now, I’ve applied online and I did spend more than $9000 on the first month, but I’ve only have 217,949 points, shouldn’t I have at least 240,000 points (120,000×1.6+48,000)? all my expenses are just normal local/overseas purchases. Im still waiting for bank’s reply. Just wonder f it’s common for the bank make such mistake? 你好, 請問這Flyer World MasterCard 而家(2016年1月)做網上繳費(繳建行的信用卡費) 仲有冇分儲?都係5元1里?